I am the most impatient girl in my family. I just hate waiting and want my work to finish as soon as possible. I love nail art to the core but I still feel I need a bit practice and patience in applying nail foils. 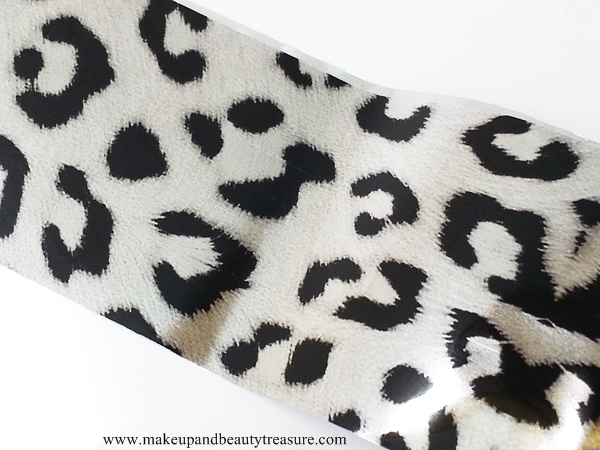 I got Born Pretty Store Leopard Nail Foil Transfer* with the pattern C-01. It is priced at $2.30 and you can buy online HERE. Use the coupon code MEGW10 to get 10% off on your order. 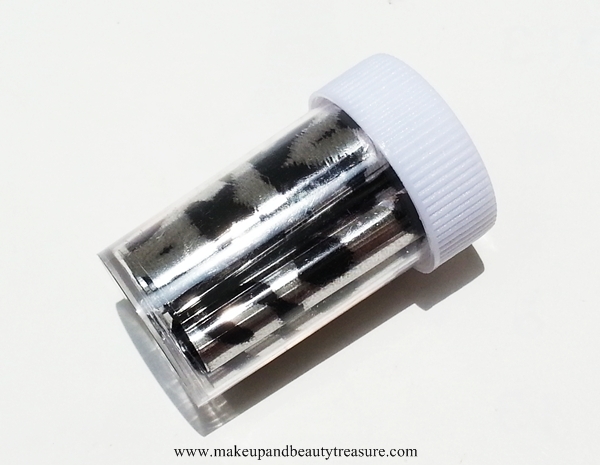 Born Pretty Store Nail Foil Transfer comes in a small and cute clear plastic jar with a white screw top lid. The jar is quite light and can be easily carried around in a bag. 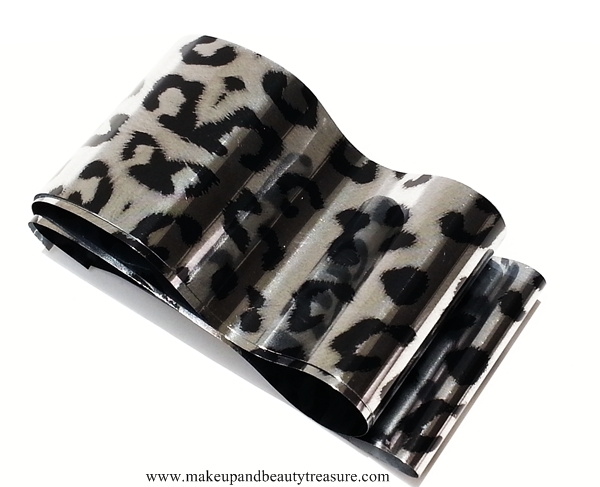 The nail art foil comes in the form of roll and is a very thin foil with leopard design on its face. • Apply a base coat. Here I have used Revlon Nail Enamel in Silver Screen. Let it dry completely. • Apply nail glue. Make sure you apply a thin layer of glue. Let it dry completely or when it is slightly gloopy or tacky. The key to remember is when the glue turns its color from white to transparent. My glue was already transparent so found it difficult to judge when to apply nail foil. The nail foils look really pretty and unique on my nails. They do not tend to get messy and I love how light they feel on my nails. As I am not so good in applying nail foils, I applied metallic nail paint as base polish to fill up the blanks that were left while peeling off. They lasted on my nails for a good 7-8 days without peeling, dulling or chipping. I absolutely loved how elegant and classy my nails look with these nail foils. I loved the patchy design I ended up with and I got many compliments too :). The nail foil comes off easily using a nail polish remover and does not create a mess. • Looks elegant on nails. • Feels extremely light on nails. • Lasts for a week. • It shrinks when a thick layer of top coat is applied. 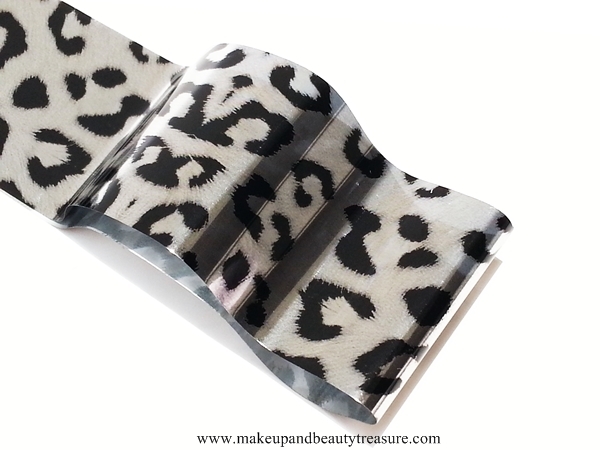 Born Pretty Store Leopard Nail Foil Transfer is the elegant way of decorating your nails. It is easy to use and all you need is patience to let glue dry gloopily. It lasts for a week on nails without chipping. It comes in lots of patterns so you can choose the design accordingly. I would definitely recommend it to everyone! • Apply only a thin layer of glue and apply the foil when it is tacky. 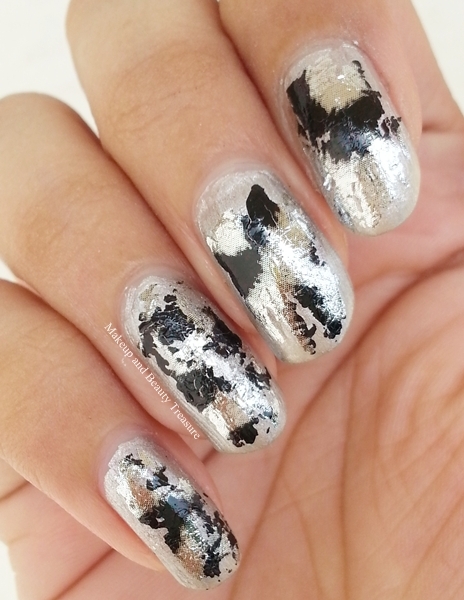 • Apply a thin layer of top coat to avoid shrinkage of foil. Do you love nail foils?